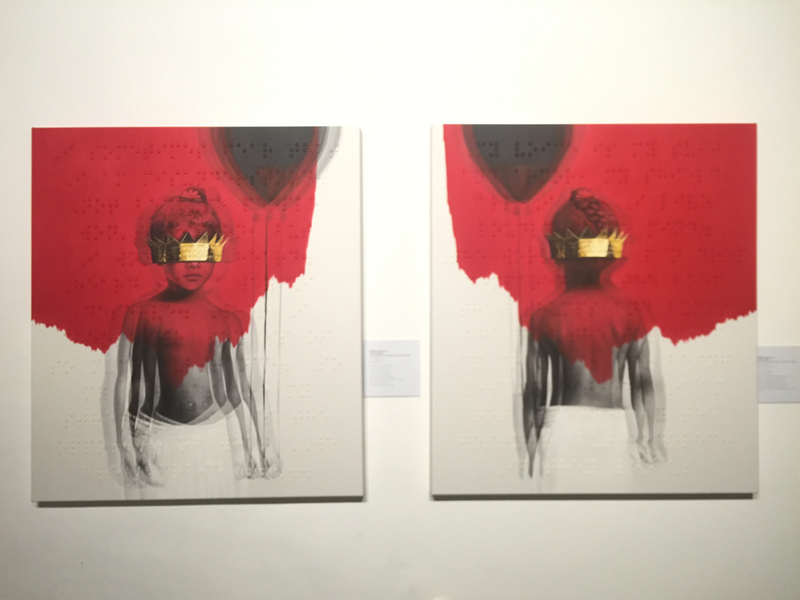 Home ART & MUSIC	CONGRATS TO MY GF, RIHANNA, ON THE “ANTI” ARTWORK UNVEILING! CONGRATS TO MY GF, RIHANNA, ON THE “ANTI” ARTWORK UNVEILING! First off, yes, Rihanna is my bae over everythang, and no, I didn’t wear my Puma Suede Creepers. 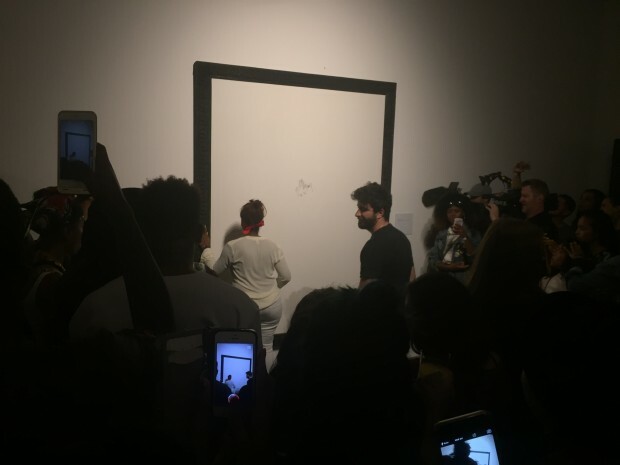 What a historic night, celebrating Miss Pon De Replay’s new album artwork “ANTI” done by artist Roy Nachum. Badgalriri is the #ILLEST! 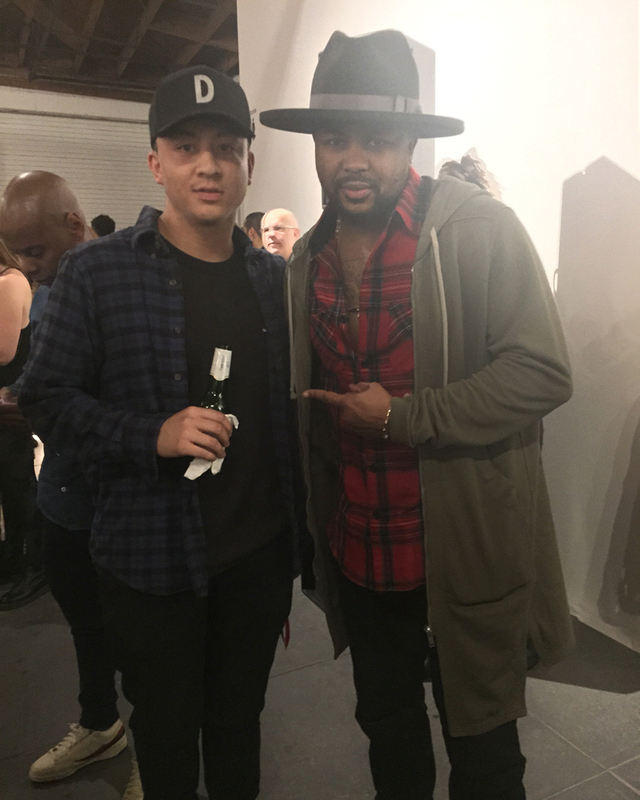 The lowkey, yet viral Wednesday night event, was hosted by the MAMA Gallery within the Art District in Downtown Los Angeles. 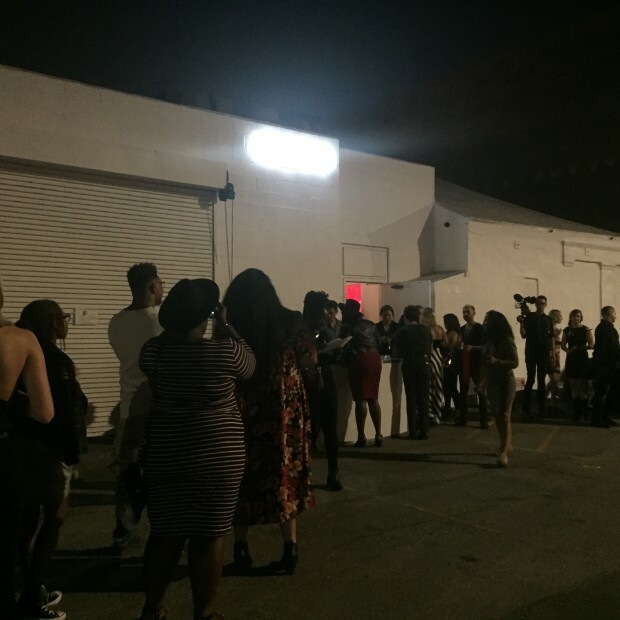 With the line wrapped around the block, we all anticipated the arrival of Rihanna. As I entered the white space, I was greeted with a red ribbon, which would be later used for an interactive art piece hosted by Nachum. 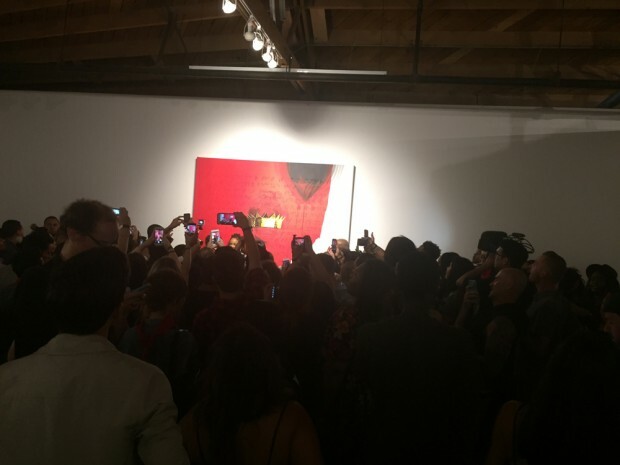 Each face of the room were draped with canvas curtains, which hid the album artwork. With the “ANTI” album artwork unveiling, RIRI is set to include singles “FourFiveSeconds”, “BBHMM”, & “American Oxygen”, all of which have peaked within Billboard’s Hot-100 list. Waiting patiently with all the RIRI Fan Page admins, etc. Album Artwork Artist, Roy Lechum hosted a live artwork installation. 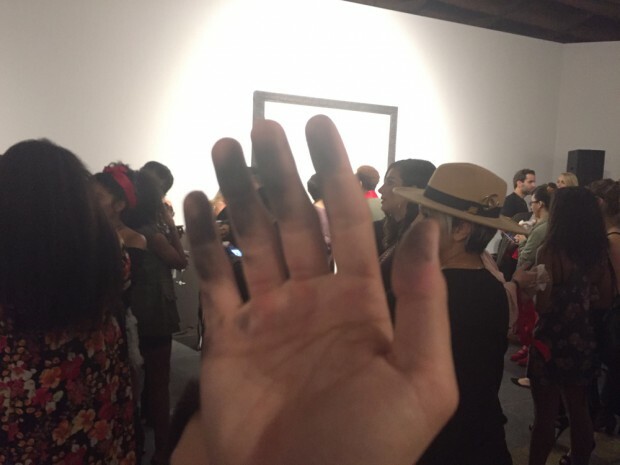 Roy had participants wear the red ribbon (no dessert) as a blindfold, then asked each participant to rub the charcoal-coated frame, then blindly leave their personal mark! Finally, the BADGAL of the night arrives! 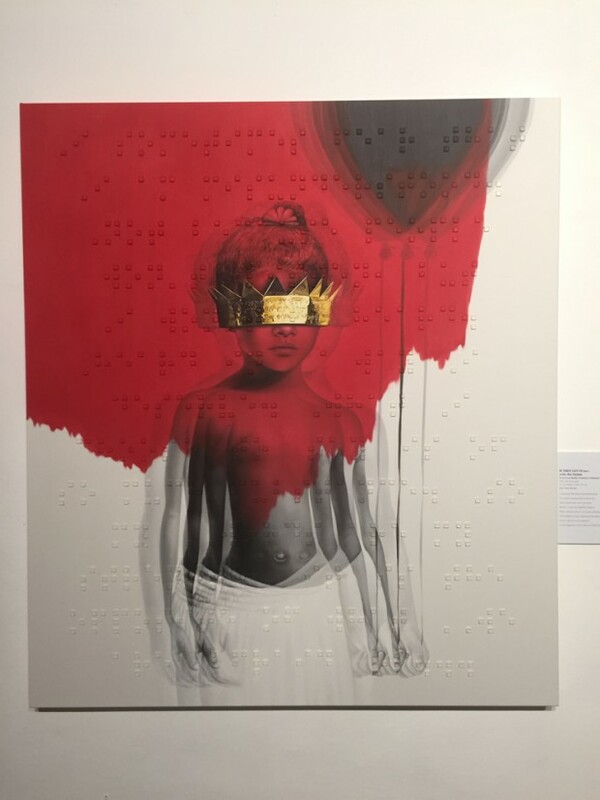 The album artwork is every bit conceptual, filled with brail, and a younger Rihanna with a gold crown covering her eyes. Nachum ties the theme of a statement on vision and vision impairment. As Rihanna said after its unveiling, “Sometimes the ones who have sight are the blindest.” The poem derives from poet, Chloe Mitchell. Rihanna literally brought out the stars! SHAWTY ROCK TO THE BEAT, FOR YA BOIIIIIII!” Here’s a pic of a swag’d out individual and THE-DREAM! Here’s a closing clip of BAERIRI giving me the silent treatment. It’s ok girl, I could play hard to get, too!